South Asia and Afghanistan figured prominently in talks as both Xi Jinping and Donald Trump mentioned them in their briefings. Xi Jinping and Donald Trump said they were committed to peace in Afghanistan. Beijing: China today said President Xi Jinping and his US counterpart Donald Trump have reached a consensus on fighting terrorism and upholding peace and stability in South Asia, amid America ramping up pressure on Pakistan to dismantle terror safe havens. During their talks in Beijing, Xi and Trump discussed Afghanistan and said they were committed to working toward a peaceful future for the country. "This morning, the two presidents talked and held joint press meeting. I am not aware of the details of the talks. What I know is that the two sides also discussed anti-terrorism issues and upholding peace and stability in South Asia," Chinese Foreign Ministry spokesperson Hua Chunying told a media briefing. "They reached consensus in this respect," she said without elaborating or mentioning whether India's concerns over terrorism emanating from Pakistan figured in the talks. To counter terrorism, China and the US as well as other countries share the common interests and the two countries stand ready to work with other parties for stronger antiterrorism cooperation, she said. South Asia and Afghanistan figured prominently in today's talks as both the leaders mentioned it in their briefings. After the talks, Trump said terrorists are a threat to humanity and that he and Xi will "stop radical Islamic terrorism." 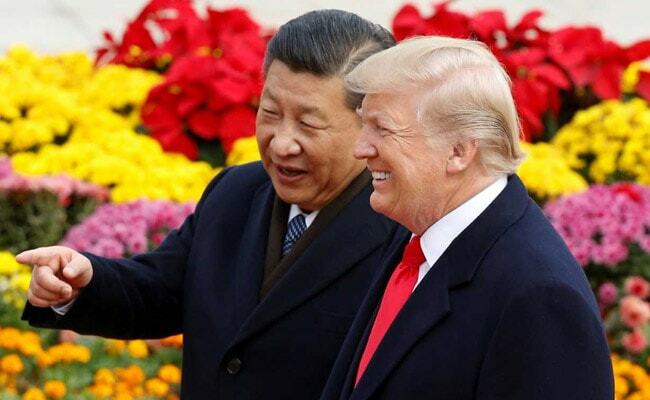 "In order to create more secure future for all and protect our citizens from extremism and terrorism, President Xi and I also committed to working together for a peaceful future for Afghanistan," Trump said. "Terrorists are a threat to all of humanity and we will stop radical Islamic terrorism," he said. Trump's remarks assume significance after he unveiled his new South Asia policy under which the US has warned Pakistan against providing safe harbour to terrorist organisations. Trump's South Asia policy giving importance to India and inviting New Delhi to play a bigger role in reconstruction of Afghanistan has also raised eyebrows in Beijing and Islamabad.